Have you noticed the "rainbow ring" in season 3 intro? This is "Brocken spectre", optical phenomenon. It appears, when the sun shines behind the observer, who is looking down from the mountain into mist or clouds. 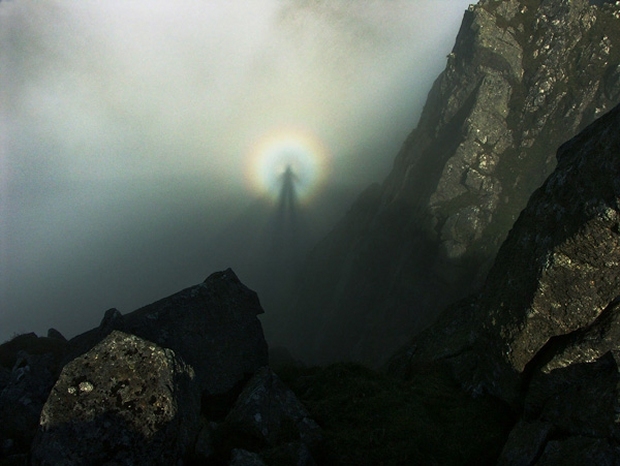 I personally saw it once (in Tatra Mountains) - my own shadow on the clouds, with a halo-like, glowing rings. Something beautiful. Nice find - I'm surprised no one else got as excited about this as I did. I thought it could allude to a lot of season 3 itself being an illusion or not quite there - I guess time will tell with the ending of the season.